All Christmas Items 50% OFF. 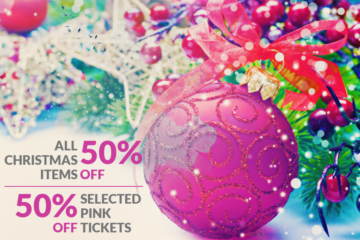 Plus, selected pink tickets 50% OFF. Pink Tickets Promo! Get 20% OFF for all items with PINK tags. 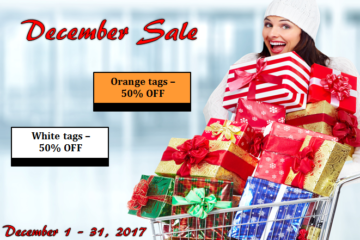 Promotion starts Dec. 9th, 2017 in all Inspirations Stores. 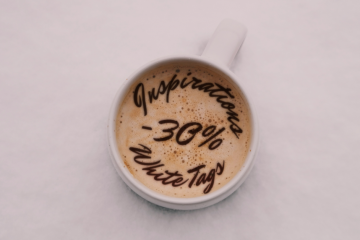 Welcome Winter Sale! 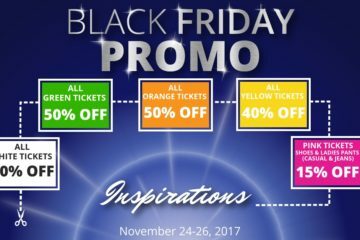 White and Orange tickets 50% OFF until end of the year! Black Friday Promo up to 60% OFF!! 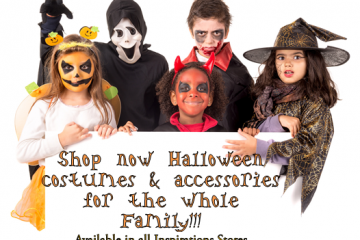 Get ready for Halloween party! New promo starts tomorrow, October 20th! 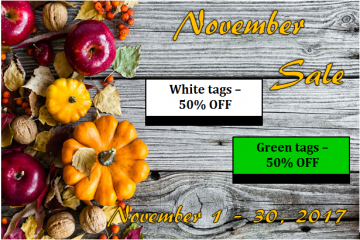 ️ White tags shoes and ladies pants-30% ! 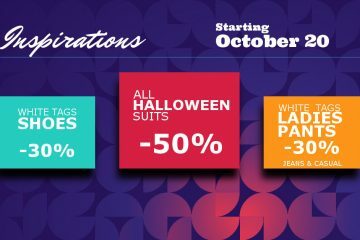 All Halloween suits -50% !! 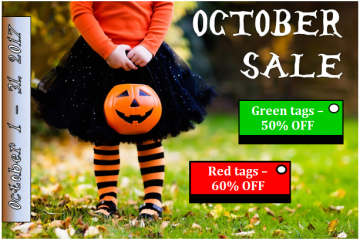 We're celebrating spook-tacular savings with 50% off GREEN tags and 60% RED tags all October long! Stock up and save on cozy sweaters for fall, Halloween costumes, and everyday essentials!